What is all the Fuss About Coconut Water? Home Articles Health and Well-being What is all the Fuss About Coconut Water? Suddenly coconut water seems to be everywhere. It is in various magazines, all the celebrities are drinking it (and some even part own one of the companies that distribute it) and it is even available in some Supermarkets. I am sure you may be wondering if it is a gimmick and you may not realise that it can have a role to play in your life and nutrition, however I want to share some information with you so that you might add it into your life. Coconut water is a clear liquid and it comes from young coconuts. 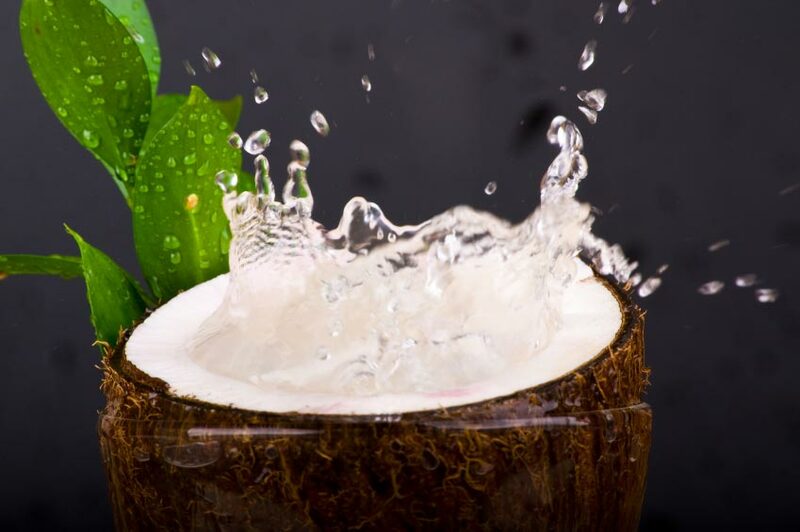 The main advantage of coconut water is that it can be rich in electrolytes, though it is worth pointing out that as it is a natural product the exact levels can vary. The specific electrolytes that are found in coconut water are potassium, magnesium and calcium. Electrolytes are vital to our health, as they are used to carry nutrients into every cell in our body and to carry toxins out. When we are lacking in electrolytes every cell in our body can be effected. We often find that those who suffer with ME / CFS and fibromyalgia have low electrolyte levels and addressing these can help with overall health, after all it is getting the nutrients into the cell and then in to the mitochondria that can help improve energy production. So how should you use coconut water? I suggest having one glass a day as part of your total fluid intake. If you want to, you can add a pinch of sea salt as this can help increase the sodium levels – another electrolyte (please note, you should not be able to taste the salt, it is only a pinch that you add in). If you are making protein or green drinks, coconut water is a good base to use rather than plain water. Be aware that tinned coconut water is not the same as this tends to have added sugar, and the flavoured ones may not be as natural as the plain ones. In summary, coconut water is very easy to add to your daily routine, it doesn’t have to take any effort and it may help increase your electrolyte levels and that may contribute towards your overall health.